Chicken Tikka Pizza,is a modified version of pizza in Indian style.This means a pizza with the full flavor of spices in Indian touch.And that's the greatest and tastiest thing about this pizza.We just loved each bite of this pizza and the aroma wafted all around here.Though chicken tikka in itself is a lengthy process and then making the pizza base from scratch,adding chicken tikka to the base is another tedious effort but I made a shortcut to the above tikka recipe and prepared with the same flavors in a different way.I just avoided the baking step and used stove top method.I added the same juices of the spices and added to the pizza base as sauce.You will surely love this pizza if you love Chicken tikka !! -Wash and cut the chicken in bite size pieces.Prepare a marinade using the yogurt,lime juice,chilly powder,cumin powder,garam masala,pepper powder,coriander powder and salt.Add 1tsp of oil at the end.Keep aside for 1 hour. - Heat butter in a pan and add the chicken pieces along with marinade.Toss it well for 10 minutes on medium flame. -The chicken masala boils and the chicken cooks half way changing color.Add the pizza sauce in it and mix well. -Crush the fenugreek leaves in palm and add,put off flame. (There should be enough sauce to line the pizza base,don't dry it much).Cool the masala(sauce) before spreading on the base. -In the mean time,sift the flours,add salt. -Dissolve yeast and sugar in 1 cup of water,wait till it starts frothing. -Add this mixture into the flours and knead.Add more water if required. -Add the oil and knead to a sticky dough.Leave aside covered to rise for 1 hour. -After an hour,punch down the air and knead again,Leave for 45 minutes. -Punch down the air and divide the dough into 2 equal portions. -Dust the surface with little flour and roll out the dough in a circle of 9-10" diameter and 1/4'' thick. -Immediately transfer the pizza base to the tray and shape it with hands if at all irregular at any place.Prick with a fork in the base to avoid rising. -Spread half sauce or masala as a thin layer leaving 1" space at the outer border.Add a thin layer of shredded mozarella cheese. -Then add half of the sliced bell peppers,onions and the chicken pieces. -Add the sliced olives and top it with some italian seasoning,pepper powder, chilly flakes and finish off with shredded mozarella cheese. -Apply a thin layer of olive oil on the outer border,gives a nice crust color. 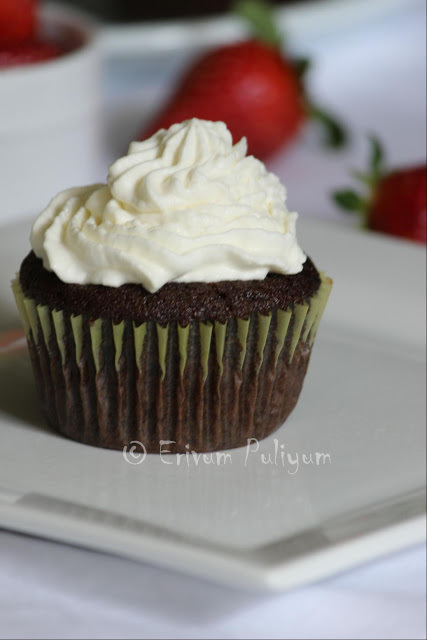 -Bake in the oven for 16-20 minutes. -Repeat the same steps to bake another pizza and use up the remaining toppings. 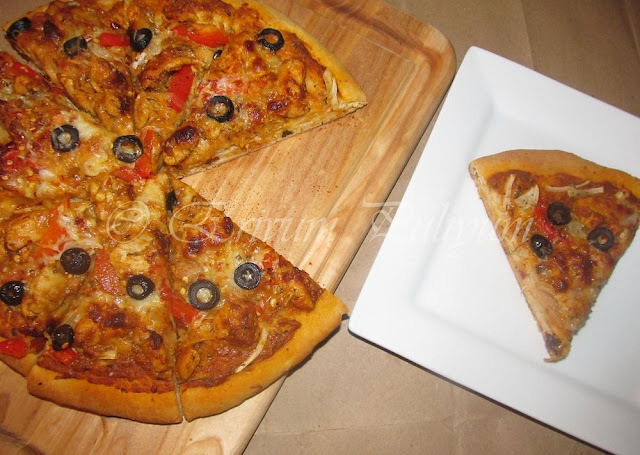 -Remove from oven,cool slightly and serve warm in slices !! * I used active dry yeast . * I have used boneless chicken thighs. * Adding pepper powder ,chilly flakes on the topping is optional if you wish to have a moderate spicy one.Otherwise you can omit that. * You can even prepare the dough using all purpose flour alone or you can just prepare the masala and top the store brought pizza base. * You can replace chicken in place of paneer and repeat the same steps to get a Paneer Tikka pizza. 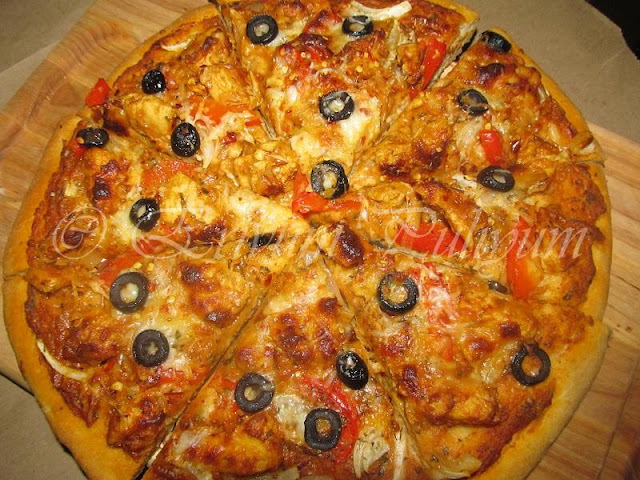 Chicken tikka pizza sounds like a wonderful idea. Nicely done !! Yummy crunchy chicken pizza looks mouthwatering. 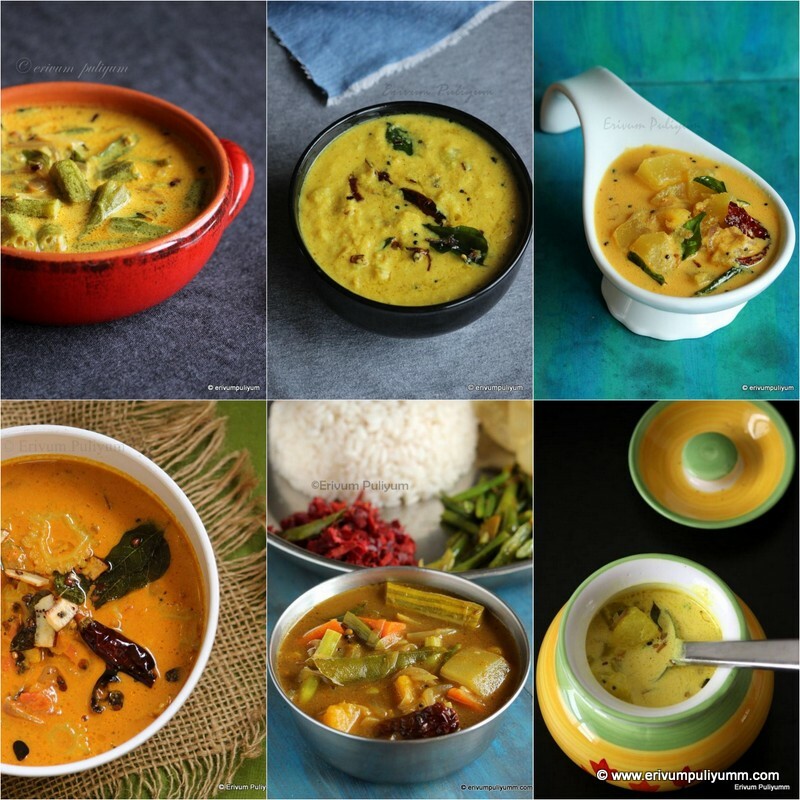 makes a great lunch instead of having to eat rice with dishes. i think your pizza can be stored frozen too..
Lovely !! Can I come over for dinner. This looks awesome !! yum!i too make whole wheat bases....its so much better!....love the topping! Julie! the look represent the taste...ah! serious drooling! 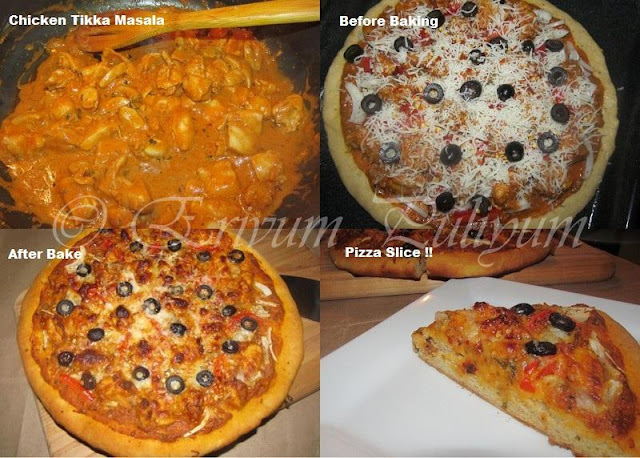 very inviting clicks :) makes me drool here..
Love the desi twist you put on pizza! Looks delicious! Bookmarked! Great post. Will surely try this and let you know. 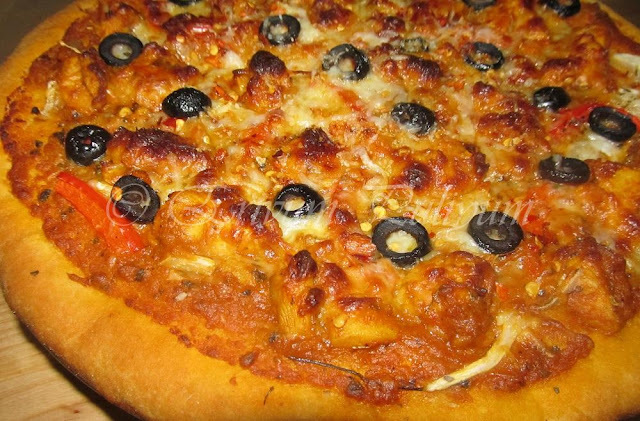 pizza luks great...simply mouthwatering ....noone can say its homemade...it luks so professional !!! 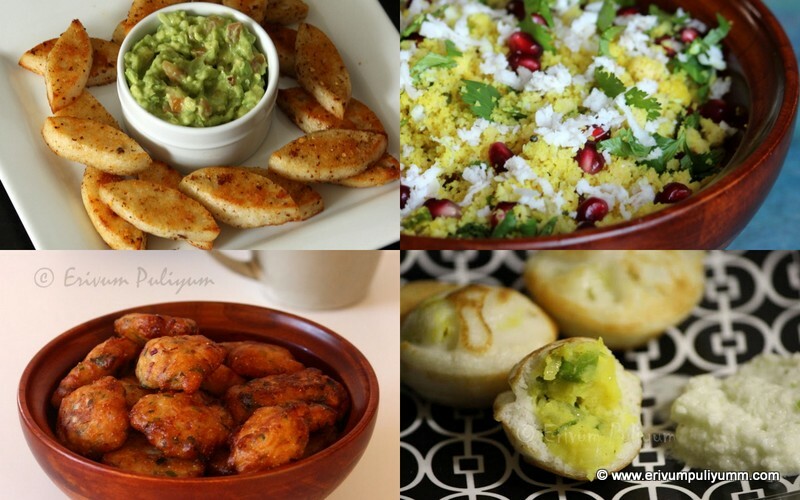 I love your version Julie.perfect with chicken tikka masala..spicy the way we need.Send me few. Awesomee .. who would say no to this .. Love it totally. Perfectly made pizza..love the tikka topping...had tasted in India once. When I make pizza, I spread the cheese on the base and then the topping...it comes out ditto like domino's pizza..
i too always make this at home...tastes so much better than all those pizza joints...love those pics. Yummy.. looks so delicious... can I grab a bite? Woww!! Looks extremely delicious!! Wonderful idea!! Ur pizza looks sooooo perfect and lovely....good one Julie. Hey Julie, mouthwatering and how about mentioning which yeast Gal in case some one starts to wonder. Seriously cant take my eyes from ur irresistible click,super tempting pizza. Pizza looks very inviting and tempting, nicely done !! wow...so spicy n tempting pizza...loved your topping idea,sounds so delicious!! looks just like straight from the restaurant..so yummy...olives really bring out the color..